Need Attic Fan Repair in Burbank or Surrounding Areas? The amount of ventilation in your attic plays a significant role in determining your home’s internal temperature. If you don’t have enough air circulation, your home will feel hot, and you’ll be cranking up the air conditioner. Attic fans generate airflow to help keep your home cool during the warm summer months. 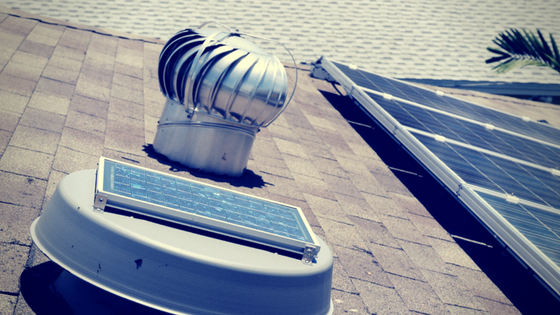 An attic fan is an excellent investment and goes a long way toward saving on energy bills. But if your fan is not working, you’ll not only be sweating from the heat; you’ll also be sweating out your hard-earned money. Markey Electric and Solar provide professional attic fan repair service and attic fan installation for homes across Burbank and Los Angeles. Keep the heat under control and don’t let your investment go to waste. Let us crawl into the attic, and don’t deal with the hassle of trying to figure out the problem on your own. One of our electrical technicians will troubleshoot the cause of your attic fan problem and fix it fast. Markey Electric and Solar provide attic fan repair service for fans installed internally, in your attic, or externally, on your roof. We have the tools and knowledge to get the job done efficiently and on time. Contact us for attic fan repair services. If your attic doesn’t have a fan, we provide high-quality and premium products at an affordable price. Cool off your home, save money, and increase the value of your home; it’s a win, win, win situation! Contact us for attic fan installation.